When Kaitlyn Weatherbrain decides to take a vacation with her two best friends, she isn’t prepared for a race across a strange planet to stop an evil villain. Luckily, Kate and the rest of her new-found friends happen to have superpowers. With their powers, futuristic technology, and a little bit of luck, the friends hope to overcome their villain and his nefarious boss, who plan to take over Earth. Can they save their home and families in time? Are their powers strong enough to avoid getting crushed by the giant robot? Katie completed the book at the end of November, on paper, as part of National Novel Writing Month. For the next six months she typed in her manuscript into a computer, edited the work, then spent June formatting it to fit the right typeface. At the end of the month we adjusted the book to fit a 5″x8″ word template, uploaded the document to CreateSpace, and followed the process to get the book published. Ten years ago her ‘book’ would have ended up on the slush pile of a dozen agents. Twenty years ago the ‘book’ would have been printed and punched and stuck into a three-ring binder to hand out at family reunions, or, perhaps, photocopied and mailed to relatives at Christmas. Today, it is on Amazon. The media seems to spend a lot of energy on the destructive aspects of change. Print newspapers are dying, magazines are struggling. Sam Goody (remember those?) has been replaced by iTunes, Walden Books by Amazon, and half-dozen small businesses in each local town defeated by Wall*Mart. Kaitlyn Weatherbrain shows another side to it. The new economy also brings us new distribution channels. If you can create art, you can sell it on Etsy. If you can cook, you can sell cupcakes or chocolates or anything else you can ship. Musicians can sell recordings on iTunes, game creators on the Apple, android or Windows stores. And yes, of course, there is Amazon. Social Media – Facebook, Google Plus, Twitter, Reddit, Slashdot – offer another way to sell, one that can be based, at least in part, on the merit of your idea. It turns out the owner class has handed over the means of production. Many of my friends have stated they would like to not just go independent, but to create a real product company. They hesitate because creating a website takes too many skills now. Between setting up the webserver, graphic design, front-end programming, back-end programming and database skills they are overwhelmed so they never start. The perfect, as Voltaire famously quipped, is the enemy of the good. As we dance around the American celebration of Independence, dare I suggest that you consider – just consider – starting somewhere? Something small, that might generate a little revenue, to get a feeling of independence? I did this in 2004, earning $600 part-time at night. Seven years later, I took my tiny company full-time. 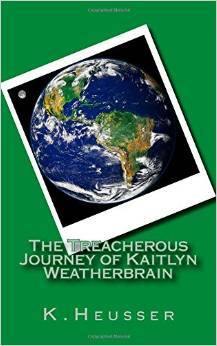 If you want a place to start, check out The Treacherous Journey of Kaitlyn Weatherbrain. See what an eleven year old can do when she puts her mind to a project. It might just inspire you. I can't wait to read it. Very inspiring. Congrats on an enormous effort to Kaitlyn.